The transition from Summer to Winter is starting to begin and we just can’t wait to dive into these magical hues! 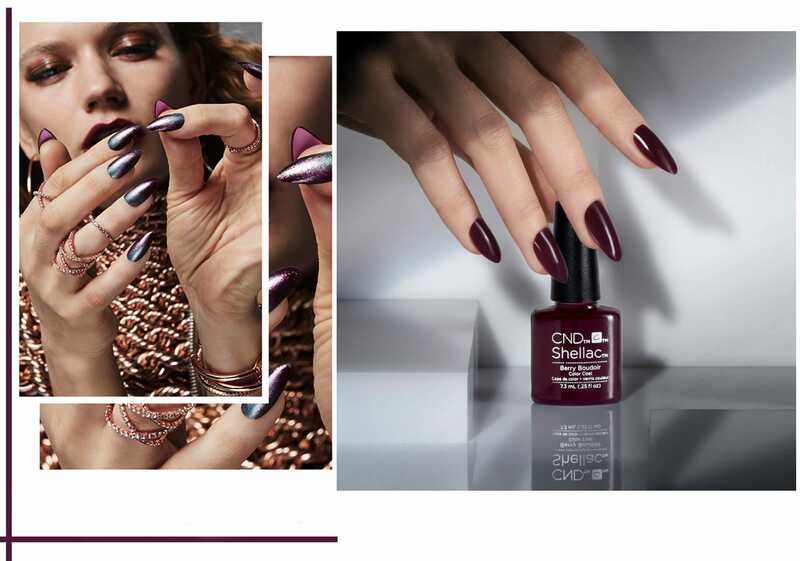 It’s a dark and stormy night in the NEW NightSpell Collection of six Shellac and Vinylux colours. Bring on the night with moonlit colours, for Fall 2017. 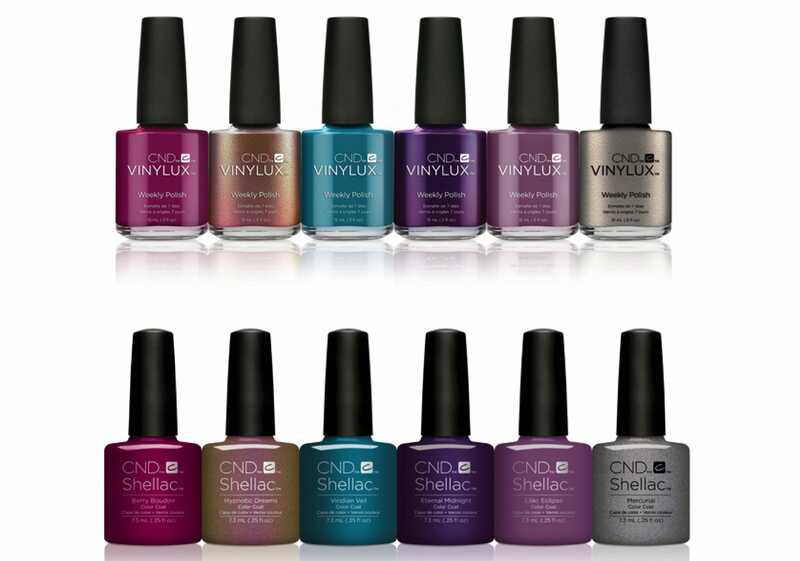 CND introduces this dark, sultry and full of drama Nail Polish Collection – inspired by a “dark and seductive edge”. There are several stand-out shades: A warm lilac créme, a few elegant duo chromes and some shade shifting magic – “Berry Boudoir”, “Mercurial”, “Viridian Veil”, “Eternal Midnight”, “Hypnotic Dreams” and “Lilac Eclipse”. “Berry Boudoir” – As the name suggests, a deep mulberry plum colour – that is semi-sheer. “Mercurial” – It isn’t a straight silver, and isn’t quite as dark as gun metal. A gorgeous micro-shimmer, which is almost like a holographic/chrome silver. “Viridian Veil” – The standout colour of the Collection, a shimmery yet chrome-like aquamarine blue. “Eternal Midnight” – This has to be NPD’s favourite! More purple than midnight blue, we love this periwinkle purple. “Hypnotic Dreams” – A duo chrome that is semi-sheer. This autumn brown, gold is perfect for Fall weather! “Lilac Eclipse” – We know that everybody will be reaching for this warm lavender créme, again & again! We really are in “Hypnotic Dreams” about “Eternal Midnight” with this NEW Collection for Fall 2017 & we know you will be too..